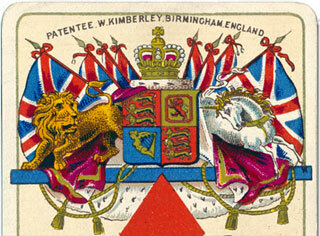 William Kimberley applied for a patent in respect of his improved playing cards in February 1892 and his application was fully accepted in December of that year. The first edition of the cards, shown here, is very different from successive editions in quality and method of printing. It is printed very luxuriously by chromolithography using no less than eleven colours, one of which is gold. All cards have an ivory background inside a gold border. The numerals follow a scheme proposed by Kimberley in his patent application of 1892: a large suit-sign occupies the centre of the card, with the numeric value voided in it twice. 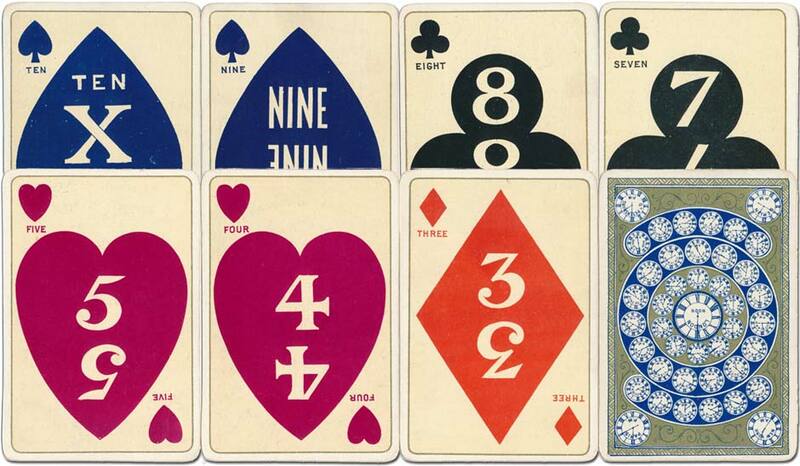 The pack has non-standard aces, non-standard courts, non-standard colours for pips (spades are blue, hearts maroon) and the pips on the numeral cards occupy almost the entire card. 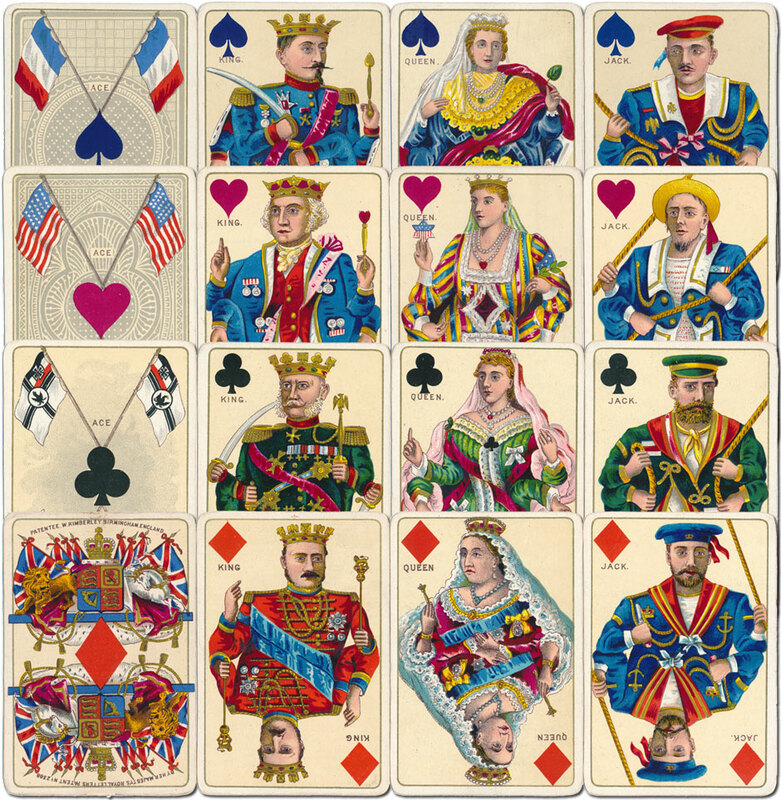 Above: David Kimberley & Sons' Royal National Patriotic playing cards, first edition c.1892-3. The court cards are richly coloured and incorporate gold. The backs in dark blue and gold on white have forty-one clocks showing different time zones from around the world. The numeral cards 2-10 have their denominations "three", "four", "five" etc. in the corners, rather than index numbers, and the words 'King', 'Queen', 'Jack' and 'Ace' are written in full on the court cards and aces. Denning, Trevor, "Kimberley's Royal National Patriotic Playing Cards" in the Newsletter, EPCS May 1984, pp.6-7.